I find the entire journey of Krishna much fascinating then any of the Hindu Lords ever heard. Meaning of Krishna: in sanskrit it stands for "the dark one". Worshipped all around the globe as one of the Dashavataras of Lord Vishnu, is the symbol of purity,playfulness,gaeity and art. one can find krishna idols with the flute and in pairs with Radha as her Sangini. Depicted in different forms in Bhagvad Gita, Vishnu Puraan and Mahabharata Krishna is still considered as the Supreme Being in Hindu Mythology and Traditional Culture. 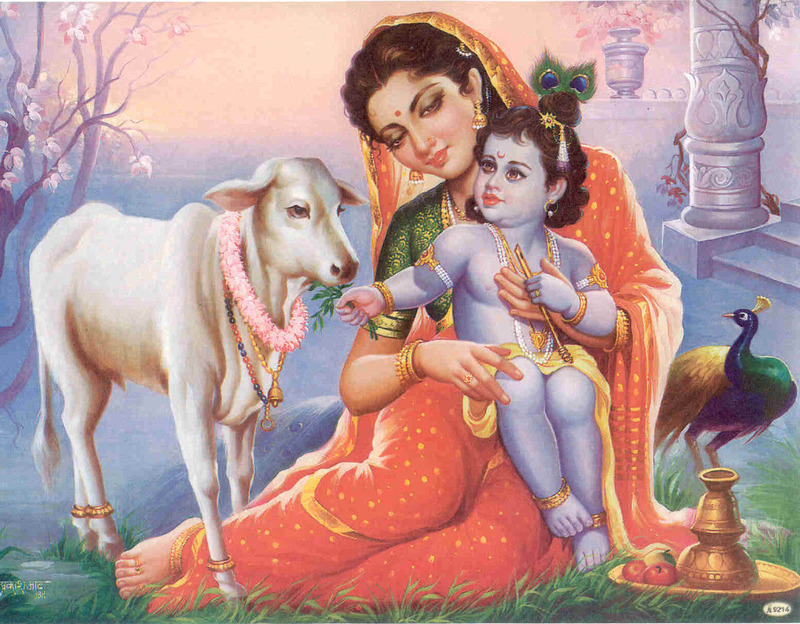 Hariharan, Vitthala, Jagannath, Gopala are some of the regional names of Lord Krishna. Mentioned in Mahabharata as the then King of Dwarka, Friend of Pandavas and Father of Samba. The entire saga of lord Krishna from a prince to a King is very inspirational. i am not going to describe each and every element of his life in this post but rather really focus some of the incidents that we should take into account. His life and his teachings to Arjuna that later transformed into Geeta can be taken in today's changing world. When Yashoda finds Krishna eating mud she gets horrified by the fact that the whole universe is within him inside his mouth.Astonishing isnt it?At many places in Mahabharata he has been described as an immortal power that guides Arjuna to fight against his brothers in Kurukshetra War. Does that mean he has an immaterial body? The questions do not end here. We find him as a Supreme Being when Duryodhana tries to arrest Krishna showing all the forms of life within his body in a gigantic manner. Krishna inspires us to search the inner soul..search for righteousness...spirituality within physical forms.. transcendental life and knowledge to learn and earn respect...he adds colors and joviality to life, freedom and individuality to think and transforming to immortality. 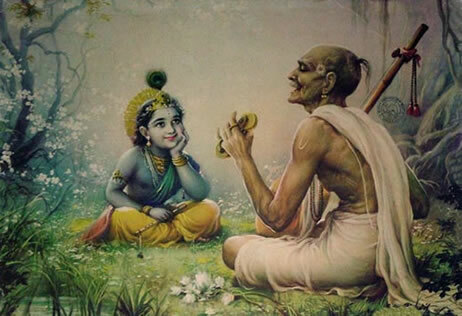 Vaishnavs, Ahmediya-Islam, Jainism and Buddhism also depict his glory and presence in their respective holy texts.Krishna teaches us not to lose hope and focus on your goal,never compromise in life when you know that it may hurt you in the future, diplomacy should be entertained but up to a limit when you get your results. Be patient and Be calm in taking every decision but your work should be fast and aggressive. Krishna finds his way to international society who bring his teachings to the outside world. ISKCON is the leading society that is regenerating the morals and ethics to the East and West to learn what Krishna left for us. 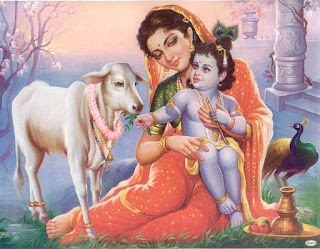 For me Krishna is immortal, immaterial and immense. He is the power that every one should get benefited. Hare Krishna.